In London's West End the Savoy theatre is known for hosting major modern musicals and revivals. Get a Complimentary Dinner at Bella Italia with your 9 to 5 tickets! We recommend using public transport to access the Savoy Theatre. The nearest tube stations to the Savoy Theatre are Covent Garden (Piccadilly Line), Charing Cross (Northern/Bakerloo Lines), Embankment (District/Circle Lines). If arriving by rail the nearest station is Charing Cross Railway Station. The Savoy Theatre is easily reached from the Bedford Street (Stop J) bus stop which is serviced by lines 6, 9, 11, 13, 15, 23, 87, 91, 139 and 176. If driving to the theatre, the nearest car parks are in China Town and Trafalgar Square. There is also an NCP underground car park in Parker Street. The Savoy Theatre, is a London West End theatre on the Strand in the City of Westminster. It has a seating capacity of 1,158. The theatre, opened on 10 October 1881, was built by Richard D'Oyly Carte (1844 - 1901) on the site of the old Savoy Palace in London as a showcase for the works of Gilbert and Sullivan, which became known as the Savoy Operas as a result. Later, the Savoy Hotel was built next to it. Designed by C. I. Phipps and decorated by Collinson & Locke, The Savoy Theatre, regarded as the most beautifully fitted theatre in Europe opened its doors on 10th October 1881 with a transfer from the Opera Comique of Gilbert and Sullivan's opera Patience. Built at the instigation of Impresario Richard D'Oyly Carte, who wanted his own theatre in order to stage the works of Gilbert and Sullivan, the Savoy became famous as the first public building in the world to be lit by Incandescent electric lights and in one way or another it has been blazing ever since. On 3rd June, 1929, the Victorian auditorium was invaded by workmen and demolished and, 135 days later "a gleaming palace had sprung up", a magic miracle of modernism built by Rupert D'Oyly Carte with Frank Tugwell as the architect and decorative designs by Basil Ionides. The Theatre re-opened on 21st October 1929 with a revival of Gilbert and Sullivan's The Gondoliers, designed by Charles Ricketts and conducted by Dr Malcolm Sargent. Loved, and eventually listed, the Savoy Theatre's auditorium, ravaged with fire in the early hours of 12th February 1990, has now been triumphantly and dazzlingly recreated under the guidance of the theatre's late chairman, Sir Hugh Wontner, and the distinguished architect, Sir William Whitfield. The auditorium and public areas have been faithfully restored to the 1929 vision of Tugwell and Ionides. The theatre re-opened on 19th July, 1993 in the presence of HRH The Princess of Wales with a Royal Gala performed by English National Ballet. As a tribute to Gilbert and Sullivan, the overture to Patience was played and the season's programme included Wayne Sleep's specially commissioned ballet Savoy Suite with music by Sullivan arranged by Carl Davis. Interest in the re-opening of The Savoy Theatre was unprecedented, with worldwide media coverage, which continued throughout The Times World Chess Championship, won by Garry Kasparov. Theatrical production returned with Noël Coward's Relative Values. This was followed by Tom Stoppard's Travesties, with Anthony Sher, and in 1994 the musical She Loves Me with Ruthie Henshall and John Gordon Sinclair. Then came Terry Johnson's Dead Funny; Alan Ayckbourn's Communicating Doors, with Angela Thorne; J B Priestley's When We Are Married, with Dawn French, Alison Steadman and Leo McKern; and Ben Travers' Plunder, with Griff Rhys Jones and Kevin McNally. In 1997 The Savoy Group entrusted the management of the theater to a group led by Sir Stephen Waley-Cohen. Since 1997 the productions have included Simon Callow in The Importance of Being Oscar; Pet Shop Boys in concert, Ian Richardson in The Magistrate; Edward Fox in A Letter of Resignation; the Royal Shakespeare Company's production of Richard III, with Robert Lindsay and Noël Coward's Hay Fever, with Geraldine McEwan. The year 2000 saw the triumphant return of the D'Oyly Carte Company with a traditional production of HMS Pinafore; Donald Sutherland's return to the stage in Enigmatic Variations and a second D'Oyly Carte Season of The Pirates of Penzance and Antarctica by David Young. 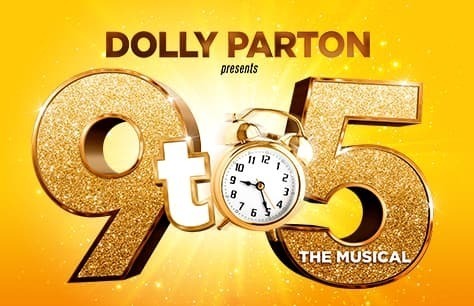 The D'Oyly Carte returned at the beginning of 2003 with HMS Pinafore, followed by Bea Arthur at The Savoy, John Steinbeck's Of Mice and Men, Peter Pan and The Pirates of Penzance. This was then followed by The Marriage of Figaro and The Barber of Seville performed by The Savoy Opera Company. These productions ran throughout April, May and June 2004. This was followed by seasons of Lorna Luft starring in Songs My Mother Taught Me and the exciting new salsa musical Murderous Instincts. Noël Coward's Blithe Sprit opened in November 2004 and ran to May 2005. 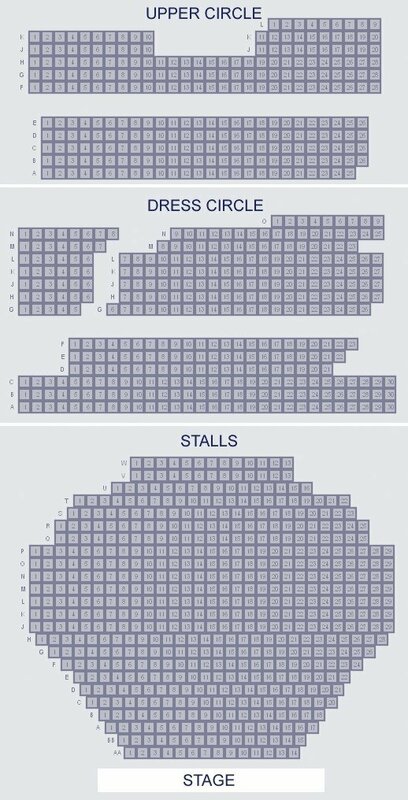 The capacity of the Savoy Theatre is 1,158 across 3 levels: Stalls, Dress Circle, and Upper Circle.